Here's another option for accessing your email accounts from your iPad. 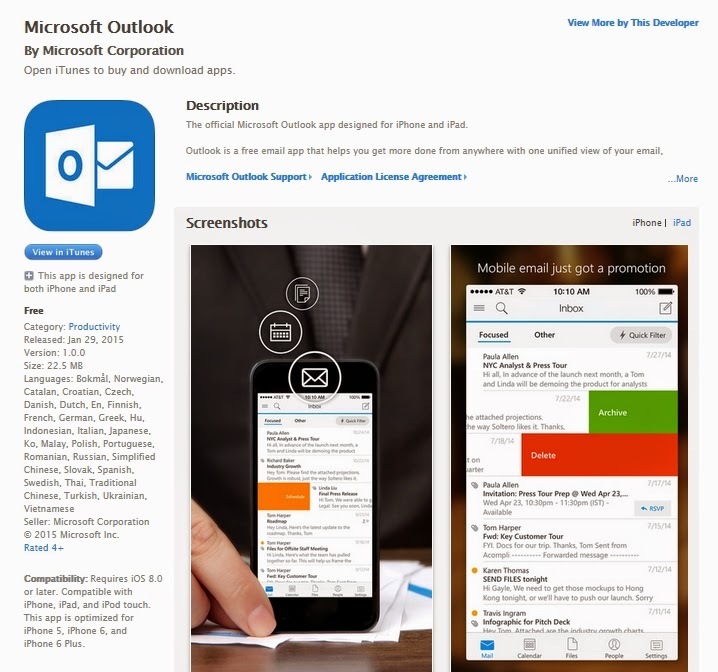 In addition to Microsoft's email systems, you can also define Apple iCloud, Google Gmail and Yahoo Mail accounts. While I personally like the Divide app to separate work and play, the Outlook app has a nice look and feel, better swipe gestures and a cool feature that allows you to easily send times you're calendar is open, so finding meetings times becomes less a chore. There's an Android version available for preview, but it appears a bit buggy at this time.